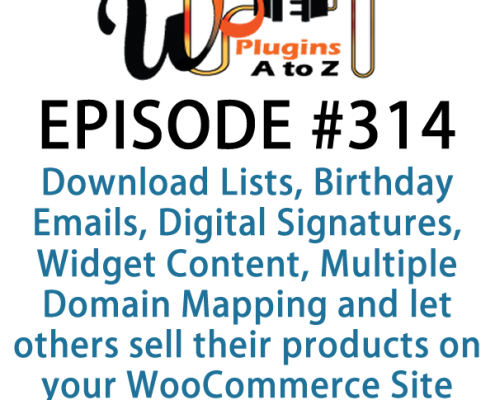 It's Episode 314 and we've got plugins for Download Lists, Birthday Emails, Digital Signatures, Widget Content, Multiple Domain Mapping and a new way to let others sell their products on your WooCommerce Site. It's all coming up on WordPress Plugins A-Z! 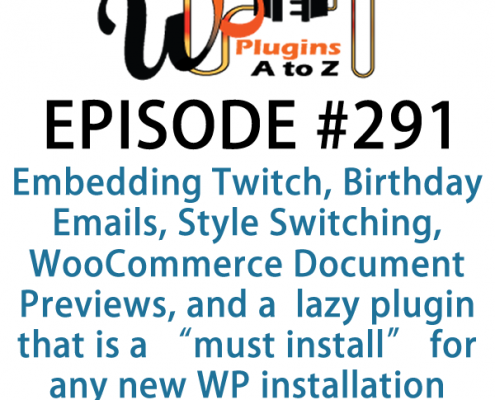 It's Episode 291 and we've got plugins for Embedding Twitch, Birthday Emails, Theme Style Switching, WooCommerce Document Previews, and a gret new lazy plugin that is a "must install" for any new WP installation. It's all coming up on WordPress Plugins A-Z!